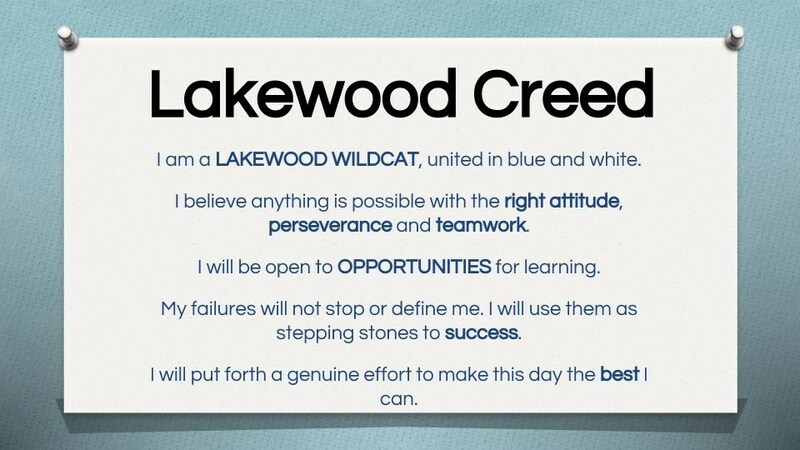 This year we are excited to have been chosen to be a Great Expectations Campus! 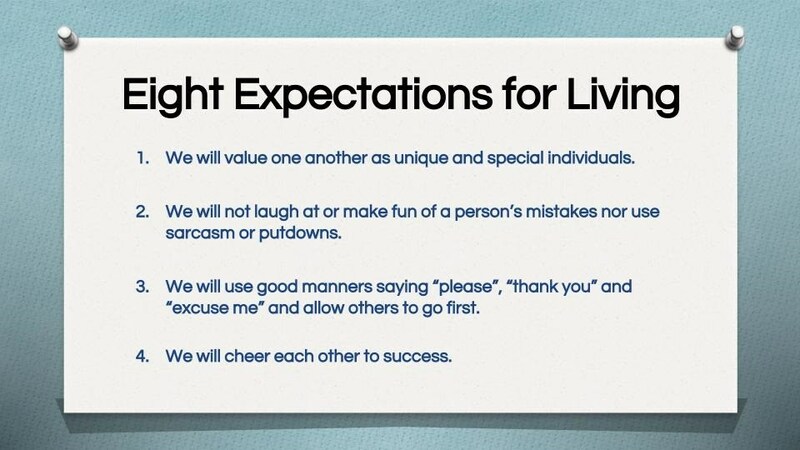 The Great Expectations model encourages excellence and success through a Culture of Respect and Academic Excellence. 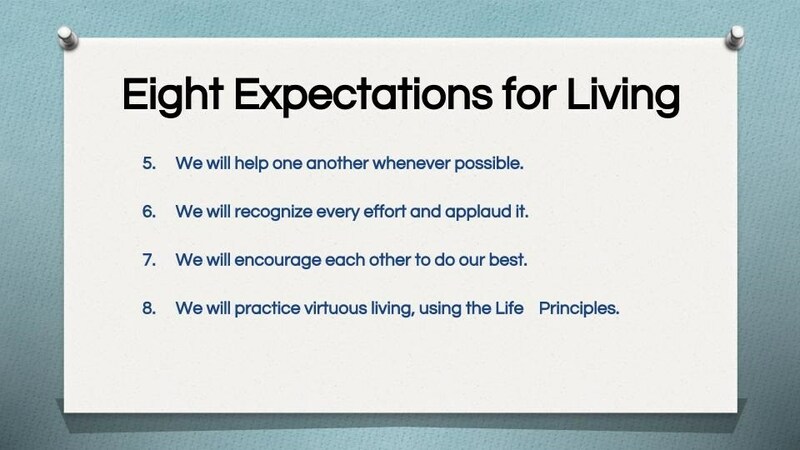 Educators and learners model desired behaviors and attitudes using the Life Principles and Eight Expectations for Living. As a part of Great Expectations we have a Life Principal of the Week, which is similar to our Character Trait of the Month from last year. We also have a word and quote of the week.